Marijuana is a blend of the dried leaves of the Cannabis sativa plant. It’s consumption is increasing tremendously all across the globe. People are taking it for medical as well as recreational purposes. People consume marijuana by various means like joints, pipes and blunts. It is even infused in foods and is growing as a potential industry in near future. When cannabis is consumed, it creates a feeling of ‘intoxication’. Once it reaches the brain cells, it releases the chemical dopamine. According to NIDA, Marijuana gives immediate feeling of ‘high’ when taken in the form of ‘smoke’ and much later when it is imbued in food stuffs. A study conducted by Einstein Medical Center in Philadelphia in 2017, claimed that out of the people who consumed marijuana, 26 percent were more likely to suffer a stroke. It can also increase the heart rate by a 20 to 100 percent after smoking it. One of the most renowned benefits of marijuana is that it helps you to relax after you had a tiring work day. It is seen to be soothe your nerves and lower down anxiety level. It helps boost up good sense and well being, and causes a sense of relief. Studies have shown that the compounds in cannabis can ease anxiety and within minutes of smoking, you’ll be able to breathe a heavy sigh of relief and start smiling again. During the times when you’re suffering a severe ache, you feel that there’s something that’s calling you out loud to mend it. This happens as a result of chemicals which are sent by cells, via nerves to the brain. The compounds present in the brain like THC and CBD correspond with the immune cells to lower the chemical pain, which eases you down. Cannabis seeds are loaded with power packed antioxidants, fatty acids and other nutritional value which minimises the damage caused to our cells by the external environment. If the damage is not treated, it may lead to harmful diseases including cancer and even Alzheimer’s disease. Cannabis is the cure for all your tensions and apprehensions, when you are feeling low. This herb helps you feel blissful and full of joy. Studies have shown that regular consumption of cannabis helps people to deal with day to day problems like stress, pain or any sudden traumatic events. It aids in handling problems like anxiety or several degenerative disorders and provides powerful symptom relief from a wide variety of ailments, including cancer, epilepsy. Cannabinoids present in heavy indica variety of cannabis help to induce a long and a deep sleep. It makes you relax and at the same time, helps your mind to heal and repair during the course of sleep. It can also help to fend off several toxins from the pain and mending many disorders. The antioxidants present in the CBD shelters us from the DNA damage, which is the focal reason behind the aging process. When we get older, the chances of DNA damage tend to increase. Thus, CBD is a potential cure for treating this and making you young. There is a huge range of cannabis products too, which will certainly help you look beautiful. 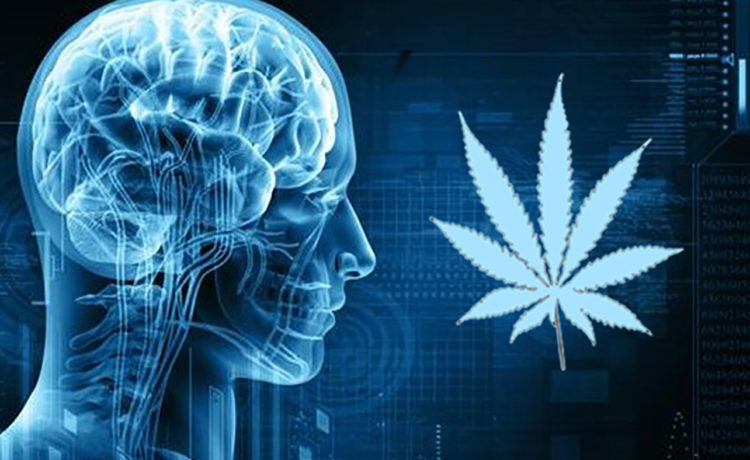 Cannabis helps to activate a certain part of your brain. It also increases your ability to connect abstract thoughts. Within half an hour of smoking herb activates the frontal lobe, the part responsible for critical thinking and creativity. Be mindful with this simple green flower and use it with a healthy attitude. It’s all about balance, don’t overdo it, and you’ll be fine!